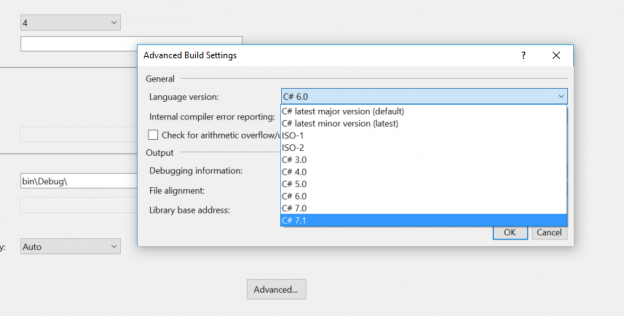 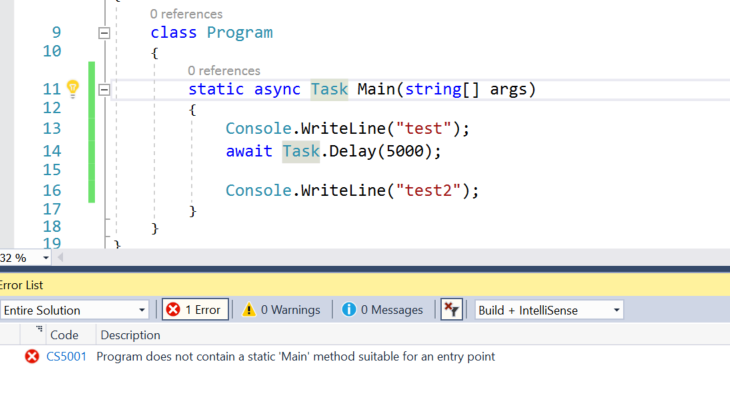 Another new feature in C# 7.1 is the ability to make a console app deal with Async. 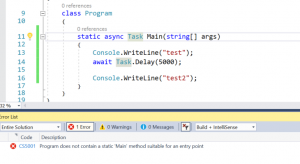 Have you ever written a test console app to call an async function; for example, what will this do? This entry was posted in C#, New Language Features and tagged async, C# 7.1, GetAwaiter, GetResult, main, Result, static async Task main, Upgrade, void, void main on September 10, 2017 by pcmichaels.